Organ transplantation has become an exceedingly common, safe and predictable procedure today in this country. It both saves lives and markedly improves the quality of life for the fortunate recipients who have sustained end stage organ failure. This could involve the kidneys, liver, pancreas, intestine, lungs or heart. Individuals who were doomed to die far before their time now can live normal or relatively normal lives due to the wonders of organ transplantation. In order to prevent a person’s immune system from rejecting and destroying the transplanted organ so that it will continue to function and thrive, immunosuppressive agents are prescribed. These medications suppress the immune system – body’s defense mechanism against things that are not normal such as foreign, transplanted tissue from another person. By their actions, they have allowed for the success of transplantation surgery. However, by suppressing the immune systems, these same medications do make these individuals far more susceptible to the development of bacterial and viral infections as well a multitude of cancers of the body. It has been known for a long time that transplantation patients have a substantially high risk of developing multiple skin cancers, particularly basal cell and squamous cell carcinomas, the types which tend to just grow locally and don’t often spread elsewhere. It was thought, however, that the risk of developing malignant melanoma, a far more dangerous and lethal skin cancer, was only mildly increased. In a paper to be published in the Journal of Investigative Dermatology, researchers discovered that individuals who have undergone an organ transplantation are twice as likely (200% greater risk) to develop a malignant melanoma and three times more likely to die from it as compared to a non-transplanted person. The average melanoma also tends to be more aggressive and in a more advanced stage. These findings are quite significant and should be taken seriously. If you or someone you know has had an organ transplantation, you/he/she should have a thorough skin cancer screening by a qualified dermatologist AND then be checked on a regular basis thereafter. 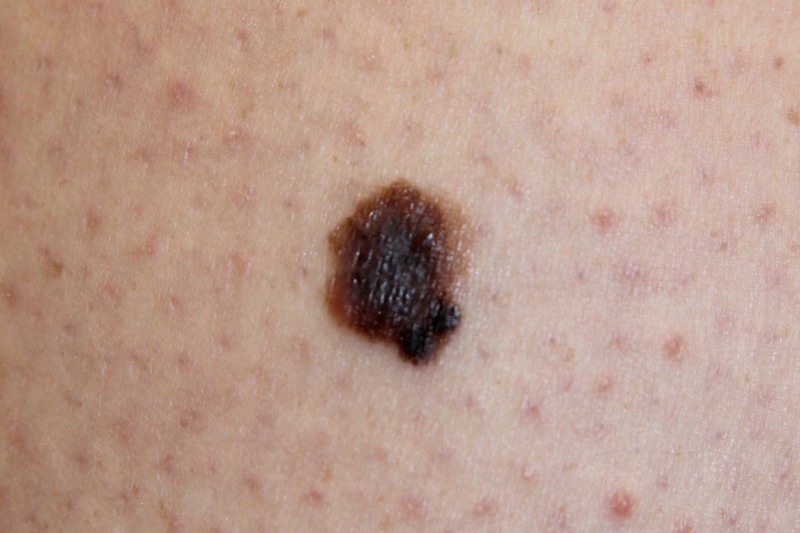 Malignant melanomas are associated with a far better prognosis when they are detected and appropriately treated early. For more information on malignant melanomas or the treatment of skin cancers in general, please call my office at 480-451-3000.